Power unit . Notice milage . Probably 20 years ago, there was one showed up on a used car lot on So. Broadway in Wichita, KS. It was a roadster but I don't remember the year of it. Why it was there I can't tell you. Don't know where it went. 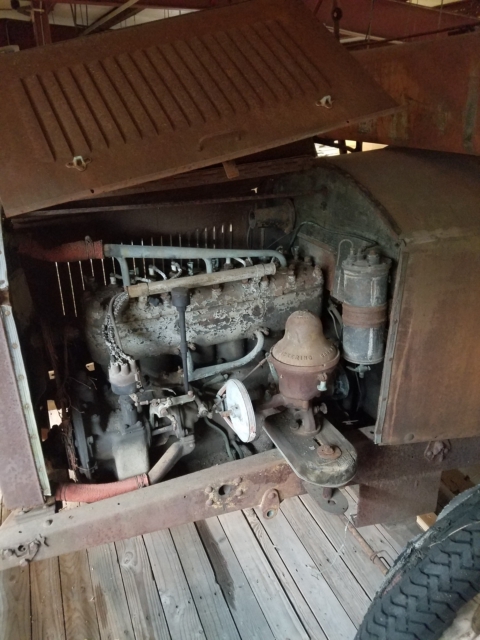 I believe the one in the first photo may be a Northway engine. It looks a lot like our Oakland engine. 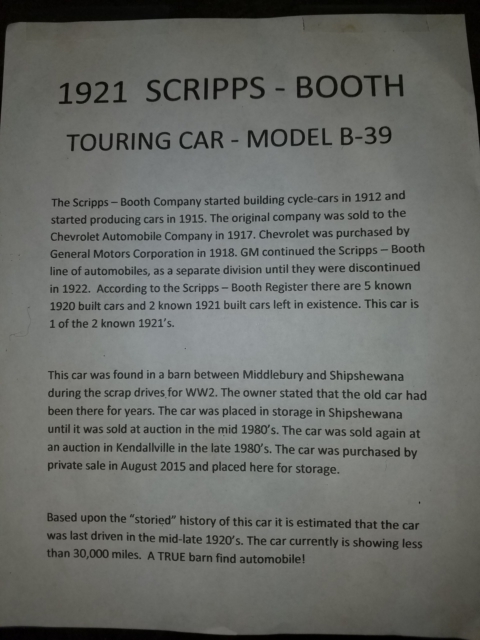 The description of the Scripps Booth auto has one error. General Motors did not purchase Chevrolet, it was the other way around. Will Durant controlled the Chevrolet Co. He was the person who started GM in 1909. With the help of Duponts from the Dupont Company, he bought enough GM stock to take over GM. GM was a subsidiary of Chevrolet until 1922. You do nice work Dallas,and i can't thank you enough!! If anyone should want to go to Emma there is also a very nice Ice Cream bar on the corner!If you and your friend try to get it started this summer i hope you send me a invite?? Nope i'm not much help but with the Ice Cream store,The warehouse,and the Essenhouse close count me in!! Good on ya Dallas!!! Bud in Wheeler,Mi. That is pretty neat. Thank you for sharing. The body looks like it is an amazingly straight condition. The carb and vacuum canister will be biggest challenge I hope. The generator has a pot metal peice on the back thats toast. 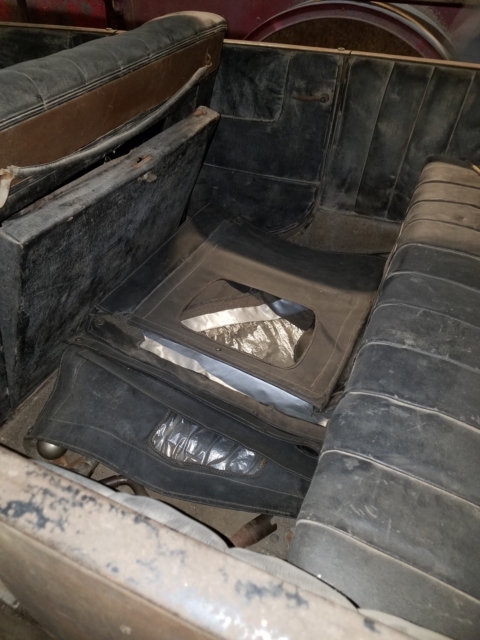 I had a fit withe my 27 chevy roadster vacuum canister . 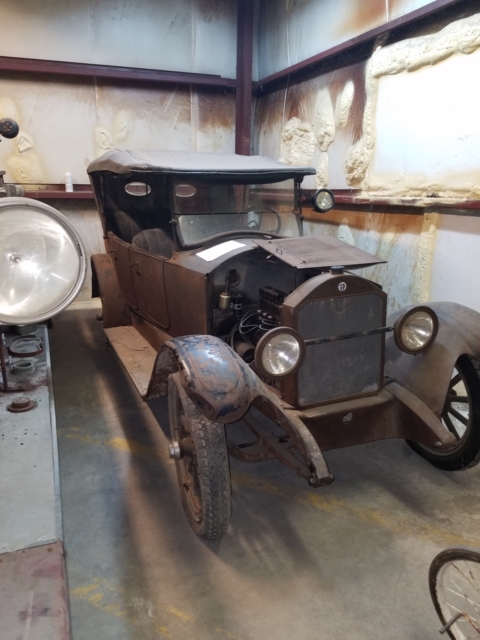 He is planning on getting it running and driving soon. bump. No message just back to top! Bud. 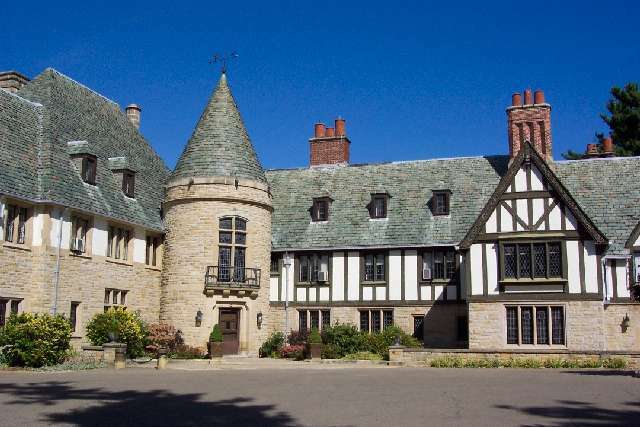 This is the Scripps estate in Lake Orion mi. Please, get this car to Greenfield Village for the Old Car Festival. 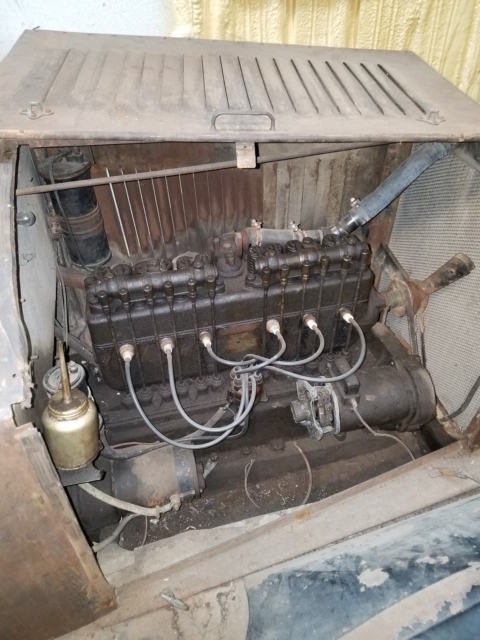 If we can get it running, that is the plan. I was hoping to meet Bud there this next year! Now he has to go. No way out Bud. What an awesome car !!! Gary it really is. The bevel oval glass in rear. Oil pressue guage. It is very solid. The doors close like a new car. 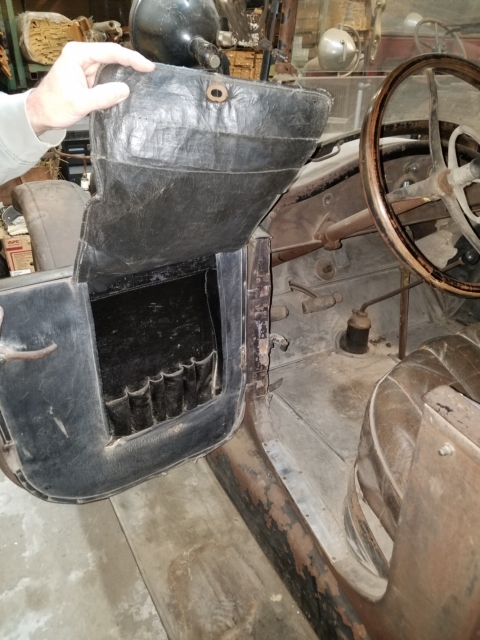 The original cloth head liner in the top is still intact. Thank you Les,and once again we find the rest of the story!! This bump to the top was for a couple of doubting Thomas's who wanted pictures and have yet to reply to the work done by Dallas and Les.I'm sure some may know Les but if you don't,his T's make the Scripps estate look like a tent!!! Again i say thank you to all and i hope to make the OCF! Bud. Im sure Burger will chime in . Probably doing something twisted and against the law in his TT. Les thank you for posting. I was unaware of the Scripps estate. Now Bud peeked my intrest . Do tell! This is the carb on 21. I cant see a name on it. 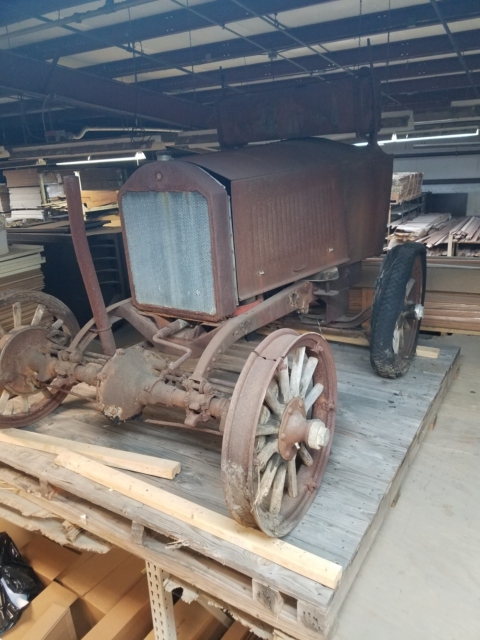 Anyone know what the make is? 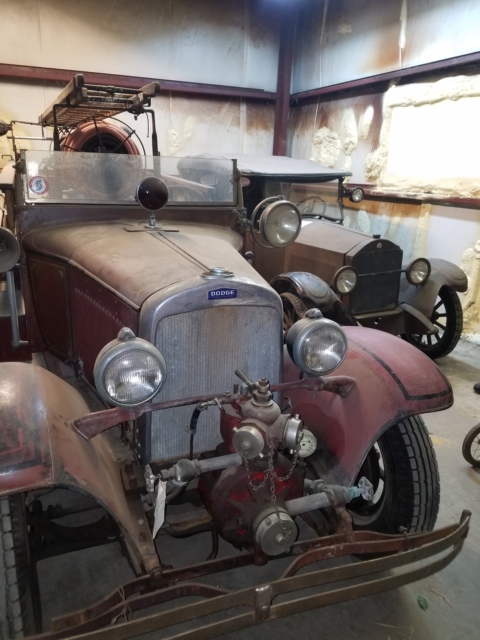 Dallas,I think that is a Stromberg,possibly an L series.I should do some more checking befire I expose myself,but here goes. The owner said Oakland used same engine. 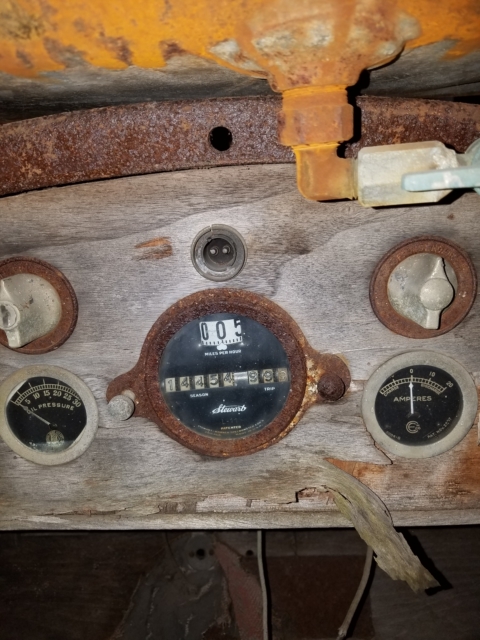 M any years ago at the swap meet in St. Louis there was a pile of parts that the vendor said was a Scripps-Booth car, There was most of the care there if I remember correctly. I think it was brought back a second time to the swap meet. I don't know what happened to it after that, but I might know who to ask. Looks like ist flying just sitting there! Bet he could use front brakes. This like most of mine this is just a dumb question,but is there a modern mix in the picture?? It seem's very well made and advanced for the time? Dumb but well intended-Bud. you'll say is the moon landing wasn't faked ! today that know nothing about history. 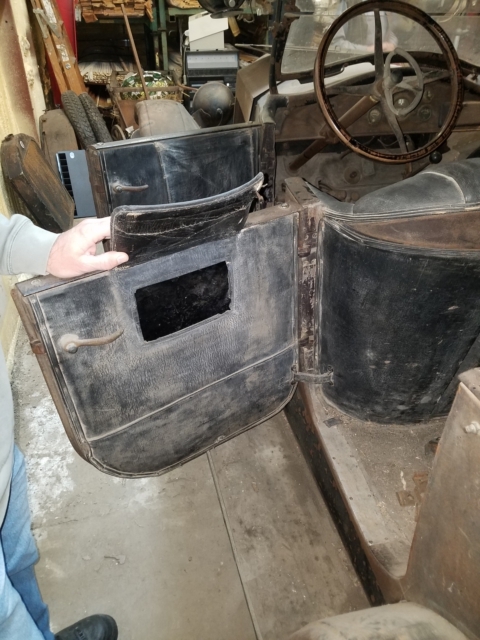 Moon, Maxwell, Locomobile ..... What's that ??? I like the whole design of the car but I especially like the radiator shell,....very elegant and blends beautifully with the shape of the cowl. NICE! Quite an arch in the lower windshield. Didn't know Scripps made such a large attractive looking car. Really cool to see. Thanks Dallas! 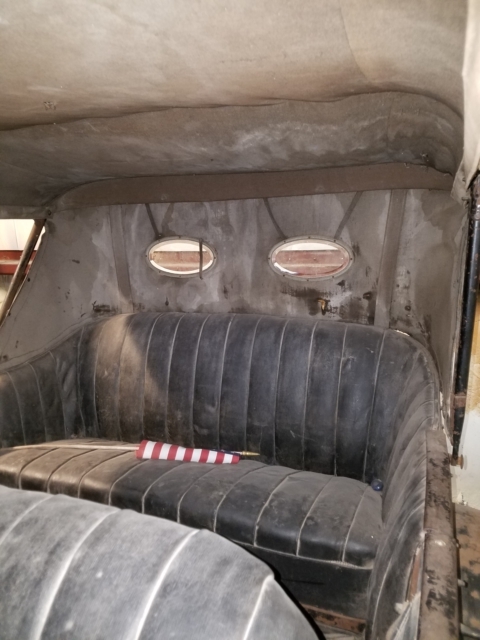 Amongst other things i wonder if Mr's Booth and Scripps built the MC Manson with car money or if it was money that built the car? 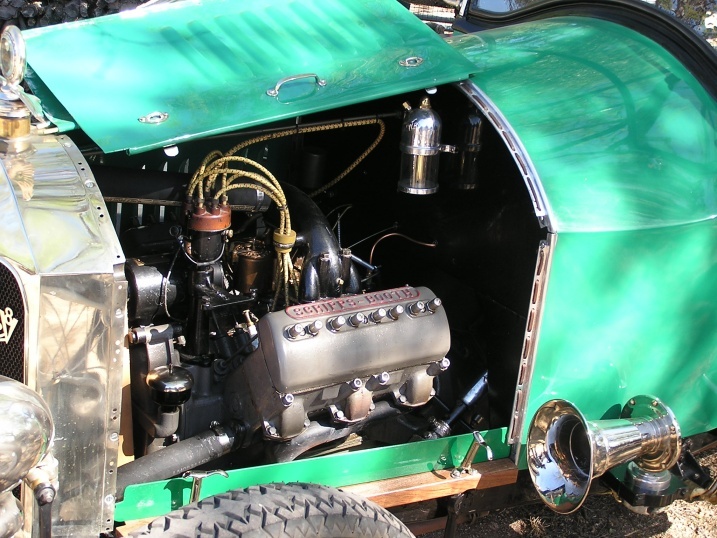 I still wonder about the engine in the speedster as to the fancy valve covers when the 21 runs in the dirt?? Bud. It's been many years but i seem to remember cycle cars of one brand or another in the ACD Museum in Auburn,Ind. Bud. Ive heard this bi-autogo was a flop but its still the most cool looking cycle car Bud. 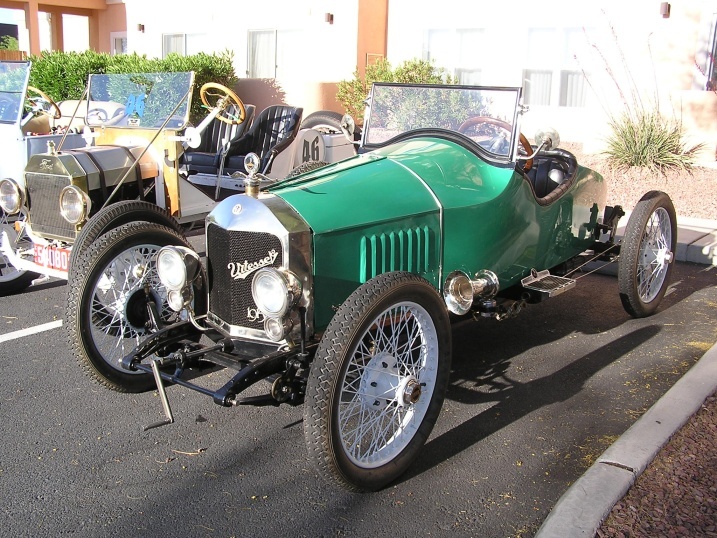 The Scripps-Booth Speedster was a prototype only one was made for the 1915 auto show the engine is the original engine from the car I was tolled that the engine was built by company that made them for off shore boat racing back in the teens, also it's a hemi! The car wasn't expected to be driven it didn't even have bearing in the read end the owner didn't fined this out until after our speedster run last April. Again i say thank you and WOW!!! Bud. 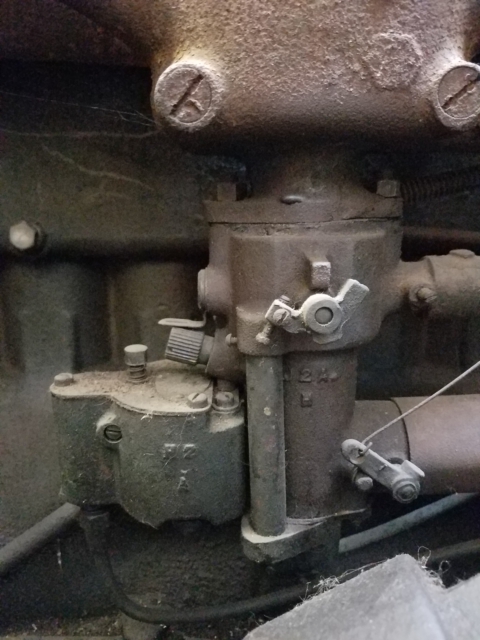 Looking at the power unit, are the axles under it S-B? If so, there might be enough there to recreate another S-B? As rare as these are, and with one to compare too, I would think a restoration/recreation could be done. 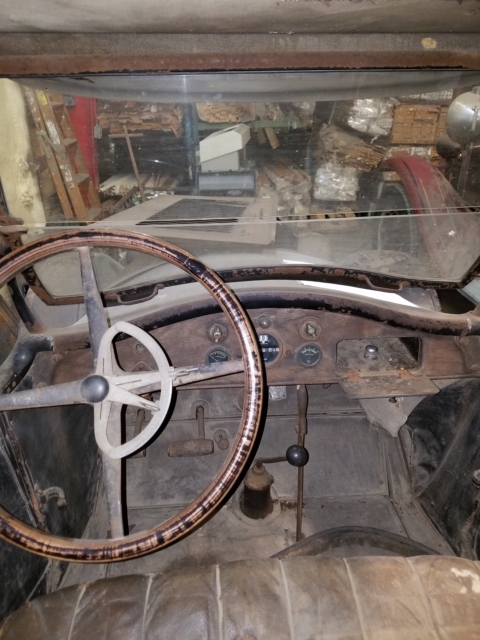 Springs can be made, the steering column/throttle-spark & horn button look almost exactly like the one on a '22 Buick here in town. Body metal is pretty straight-sided. It would be work, but you'd end up with another S-B. 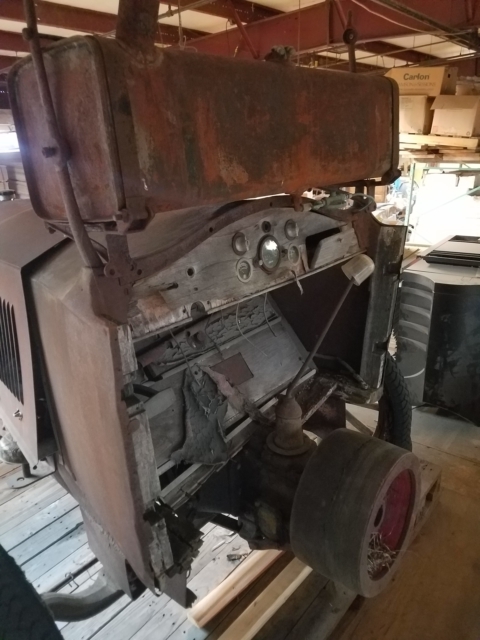 The frame and driveshaft would likely be the hardest part--but if that unit was made there, maybe the discarded parts are still laying about? Oh, what's the fire truck next to it? The firetruck is 29 dodge I believe. Local truck. He and I are both firefighters so we have a soft spot for fire trucks. Thanks for this posting. These are the types of cars I like best. 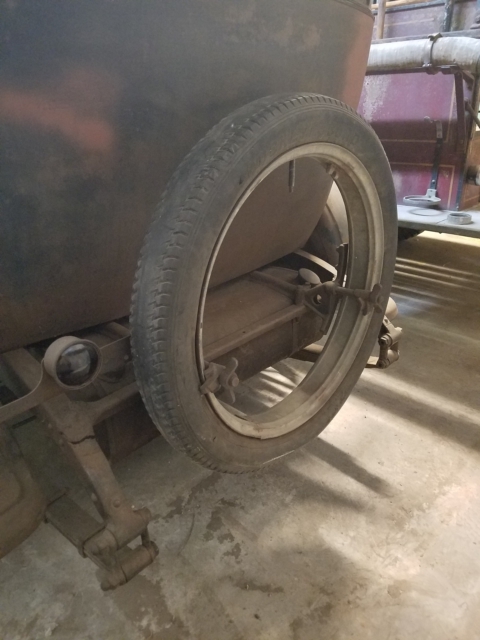 Dallas,I believe a Dykes Automibile and Gas Engine Encyclooedia from the early twenties would be a valuable aquisition for you.I know my 1918 cooy has Scripps Booth information. Back in the 90's,a good friend,rest his soul,was in the right place at the right instant.An old marina was being dredged.Old wooden boats had been allowed to rot and sink there.He got to looking in the pile of crap and found a Hisso aircraft engine and another early V8.He knew what the Hisso was because he owned the Delagrange Hisso race car.The V8 in that fabulous speedster sure looks like the other one. 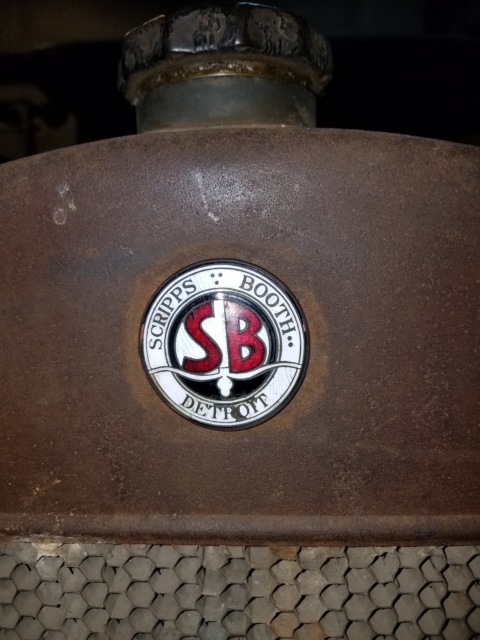 It would seem if only to me there is conflicting info about the Scripps Booth engine in the speedster? Is that a 110v outlet on the org gen on the 21? Bud. The Firetruck looks great too. Looks to be completely intact also. Most Firetrucks are fairly low-mileage vehicles; spend most of the time in the house and then usually only driven in town. I was corrected by the owner. 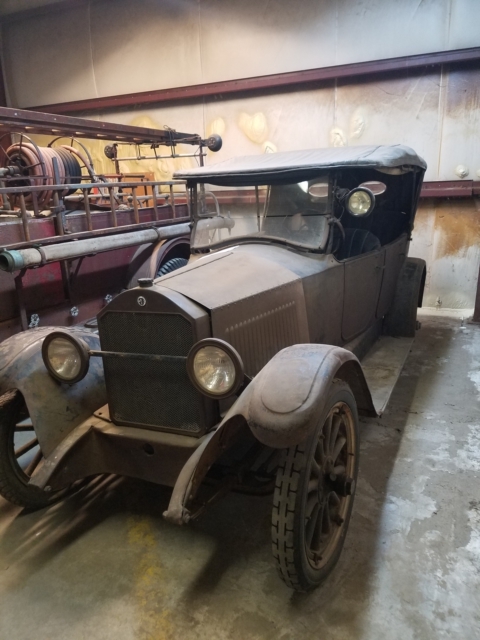 Its a 1931 dodge. David you are correct on milage. We had a 55 ford on our department and it only had 8500 miles. Polished the paint off but no rust. Jim I told the owner of the SB about the book you suggested. He is looking. Nice card Bud! Nice car also. Now I know who Im looking for at OCF next year.